Car buying is an exciting process that requires plenty of research—and big chunk of your wallet. While there are many avenues to explore when it comes to the used car marketplace, there are just as many things to keep in mind when pinning down the perfectly seasoned car for you. Between deciding on a reasonable budget that won’t put you out, to choosing a make and model best suited for your lifestyle, you will be faced with many tough decisions before have to cough up any money. These tips will guide you in the right direction and guarantee you end up with the ultimate four-wheeled companion! Everyone has their own idea of what their dream car is. Unfortunately most of those dreams remain dreams because of the price tags attached to newer BMWs, Teslas, and the like. Whether you’re looking for a car under $5000 or under $15,000, setting that budget is the first step to your search. Car listing sites and classifieds like Craigslist allow you to narrow your search by price as well as make and model. So you may actually be able to find the car of your dreams in your desired price range— maybe just a few years older. Do you need a spacious car to accommodate your big family? Do you want a sporty convertible for your California road trips? Are you prioritizing fuel efficiency? Truck, van, sedan, or SUV? How important are added features like touchscreen navigation and Bluetooth connectivity? Ask yourself these important questions to have a solid understanding of what purpose you need your car to serve you, and what integrated necessities you are and are not willing to sacrifice. How does the car look? Check for dents, scratches, or nicks in the paint job. How does the car accelerate, steer, and brake? How much road noise can you hear when you accelerate? How is the suspension? How does the car handle on rougher road? How much work needs to be done to the interior? Is it clean? Is it smoke free? How is the sound system? Do all integrated tech features work properly? The goal of a test drive is to ensure that you are ready to commit to a car. It is incredibly important for you to walk away from your test drive without any lingering questions—so don’t be afraid to ask the seller every question that pops in your head. Sometimes private sellers like to omit the fact that the car you’re looking at was in an accident, and it’s easy to forget it if work was done to restore the appearance of the car. Before driving away from your test drive, make sure to snap a picture of the vehicle’s identification number. With this number you’ll be able to access the car’s history and see all maintenance records the previous owner had done on the car. 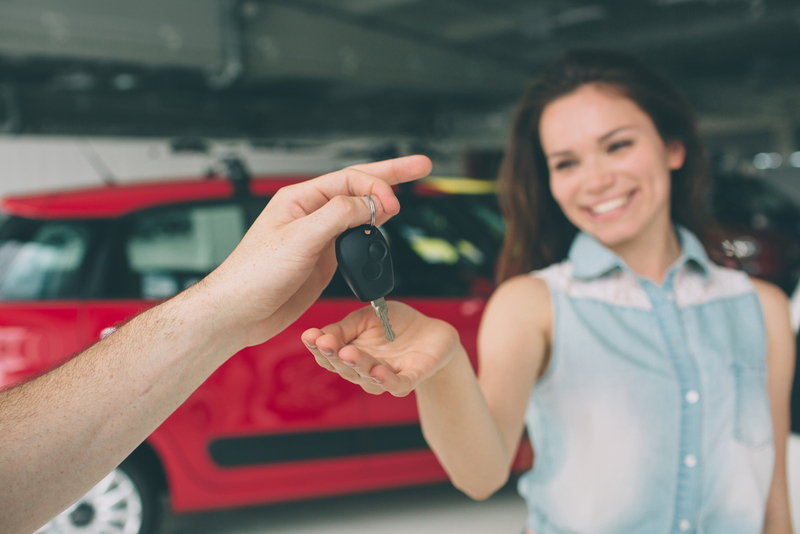 Buying a used car can be a long and arduous process, but when these tips are kept in mind, you’ll be sure to end up with a car that fits your lifestyle and your wallet perfectly!